90 MIO € FOR THE FUTURE. 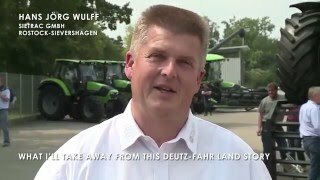 For more than 100 years DEUTZ-FAHR is based upon the merits of trusted, innovative German tractor technology and accordingly established the worldwide successful brand. Within the continuous development the SDF Group launched the offensive to further expand this brand essence. 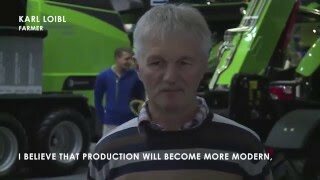 After around three years of planning and construction time, Europe´s most modern tractor plant was officially opened in the Bavarian city of Lauingen in May 2017: DEUTZ-FAHR LAND. 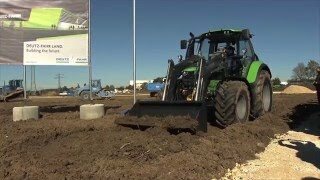 In January the new plant started the production of high performance tractors from 130 HP. The 6 Series, 7 Series and 9 Series tractors are manufactured here for the worldwide market. 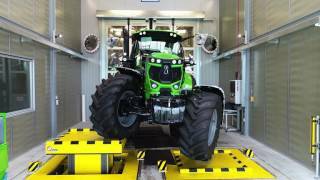 The building revolutionises tractor manufacturing through the use of state-of-the-art technology in the areas of assembly and painting and for the hydraulics, electronics and chassis tests for quality assurance. Setting new benchmarks for efficiency, productivity, and quality in manufacturing. 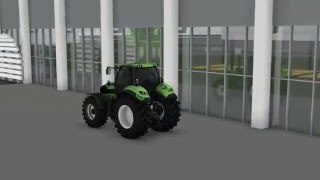 Together with the new customer centre DEUTZ-FAHR ARENA, the overall investment of 90 million euros is the single largest individual investment in the company history.